Stark Law Defense Attorneys - Oberheiden, P.C. What Is the Personal Service Exception under Stark Law? The Ethics in Patient Referrals Act (Stark) prohibits physicians who have financial relationships with entities from making referrals to those entities for the furnishing of designated health services (DHS) reimbursable by Medicare, subject to certain exceptions. See 42 U.S.C. § 1395nn(a)(1). To limit the wide and potentially unintended application of this law, the Stark Law contains several important exceptions that, if applicable, protect arrangements that would otherwise trigger harsh sanctions for violations of the Stark Law. 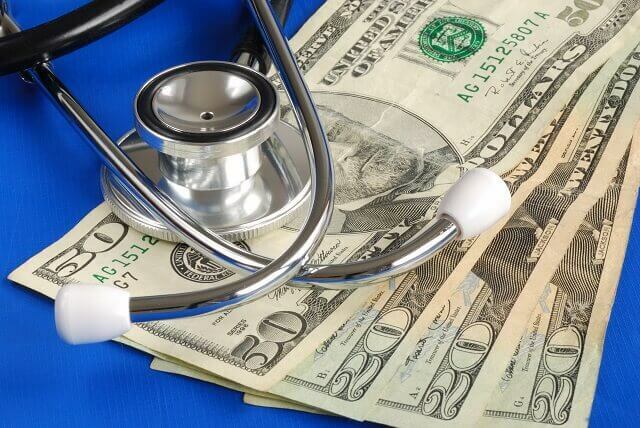 Compliance with a Stark Law exception is very important because the Stark Law is a strict liability statute, and even technical non-compliance can lead to severe penalties. The personal services exception is one of the most frequently relied on Stark exceptions, and it is also one of the exceptions that parties fail to comply with the most frequently. When Does the Personal Services Exception Apply? In order for an arrangement to receive protection under the Stark Law Personal Services Exception pursuant to 42 C.F.R. § 411.357(d), the following criteria must be satisfied. (6) The services performed under the agreement must not involve the counseling or promotion of a business arrangement or other activity that violates any state or federal law. Healthcare providers often struggle to meet the requirements of the Stark Law exception for personal services. While technical failings (like failure to actually execute a contract with the physician) are common, the most common substantive violations generally fall into one of two categories: (1) failure to maintain documentation that services were actually provided, and (2) failure to establish the appropriateness of the compensation. In order to demonstrate that an agreement falls within the protection of the personal services exception, parties should not only describe the services that a physician will perform under the contract, but they should also take care to document the physician’s performance of those services over the life of the contract. If there is no record of services provided or if that record is not carefully maintained, regulators may question the reasonableness of the arrangement or may even believe that the arrangement was a sham. Parties must also take great care in establishing the terms of a physician’s compensation. An important, central element of this is establishing fair market value. Fair market value is defined as the value in arm’s-length transactions, consistent with the general market value. “General market value” means the price that an asset would bring as the result of good faith bargaining between well-informed buyers and sellers who are not otherwise in a position to generate business for the other party. It’s not enough to simply state that an arrangement is made at arm’s length, parties should protect themselves by obtaining an independent valuation whenever entering into an arrangement with a potentially referring physician. Oberheiden, P.C. advises clients to avoid simple boilerplate language but to instead make the invocation of the personal services safe harbor more authentic. Establishing fair market value and commercial reasonableness are critical cornerstones of Stark Law compliance. Oberheiden, P.C. assists business owners, healthcare executives, physicians, medical service providers, and other healthcare professionals with questions regarding healthcare law, compliance, and criminal defense. Whether you just want to make sure that you do not run afoul of the highly complicated Stark Law regulations or whether your business is under Stark Law investigation, our team of former federal healthcare prosecutors and experienced defense attorneys routinely solves situations in which Stark Law expertise is required. Call us any time, including weekends, to see how we can use our knowledge and expertise to help you answer your questions. All consultations are free and confidential. Nick Oberheiden advises clients from all sectors of the healthcare industry. He has represented clients in Qui Tams, False Claims Act, Medicare Fraud, Tricare Fraud, Stark Law, and anti-kickback proceedings before virtually all federal agencies including but not limited to the Office of Inspector General (OIG), the Department of Health and Human Services (HHS), the Department of Defense (DOD), the Department of Justice (DOJ), and the Department of Labor (DOL). Dr. Oberheiden is trained in negotiations by Harvard Law School and holds a Juris Doctor from the University of California, Los Angeles, as well as a Ph.D. in law.